Chairing a Director Generals meeting here at NAB Headquarters, he directed that details about legal proceedings of all mega corruption cases must be prepared and be submitted within next three months. Besides, NAB’s Regional Director Generals and its Headquarters, Deputy Chairman, Imtiaz Tajwar also attended the meeting. “We will follow policy of zero tolerance for eradicating corruption in the country,” he said, adding that all inquiries, complains and investigations would be completed on merit and transparency and based on proofs. “We have set a method and time of ten months which would be followed strictly and necessary measures would be taken against all involved in corruption through pursuing policy of transparency and merit,” the Chairman said. in spite of initiating an accountability process within NAB, no action has yet been taken effectively against corrupt officers which had inflicted severe loss to the Bureau. 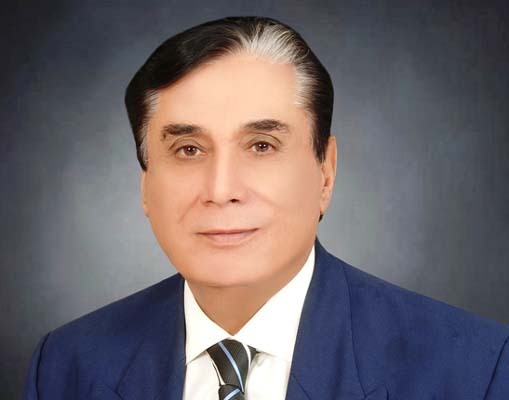 Justice Javed assured to take all possible steps to improve reputation of NAB and warned there was no place for corrupt officers in NAB, therefore, they should refrain from indulging in corruption. “No officer including me above law. Law gives us authority and stops us from misusing powers at same time,” he maintained. rules on merit and transparency. Justice Javed said he would not take a moment to act against corrupt elements in Bureau to punish them according to law and directed to conduct internal as well as external audit of NAB to ensure fair usage of funds and resources. He also vowed to make NAB as one of the best institutes of the country and asked the officials to improve their abilities and efficiencies. He directed the concerned DGs to present inquiry and investigation reports of that Private Housing Societies within one week so that time period of these cases would be reviewed. He also directed to initiate an inquiry in project of Multan Metro Buss Project. Furthermore, the Chairman NAB has also directed to initiate an inquiry in sale of PIA Plane on low price. improve and institution would work efficiently.